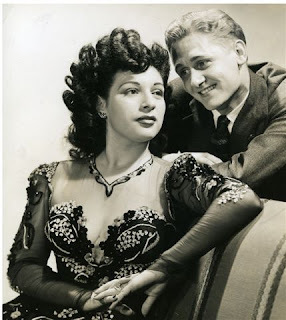 Bea Wain and Alan Young, 1948. Bea Wain (born April 30, 1917) was an American Big Band-era vocalist born in New York City, New York. 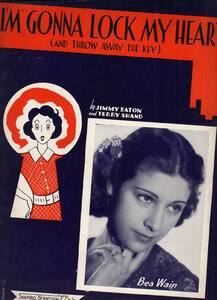 On a 1937 recording with Artie Shaw, she was credited as "Beatrice Wayne", which led some to assume that was her real name. On record labels, her name was shortened (without her permission) to "Bea" by the record company, ostensibly for space considerations. As she explained, "They cut it to 'Bea' Wain. They cut the 'Beatrice' out to 'Bea.' I was just a little old girl singer, but that's the truth. So that's how my name became 'Bea Wain'." She led the vocal group Bea and the Bachelors (with Al Rinker, Ken Lane, and John Smedberg) and the V8 (seven boys and a girl) on the Fred Waring show. In 1937, Wain joined former Tommy Dorsey arranger Larry Clinton and His Orchestra. She was featured with Clinton on a number of hit tunes, including "Martha" and "Heart and Soul". In 1939, she was voted the most popular female band vocalist in a Billboard poll, and that same year she began her solo career. Wain had four #1 hits: "Cry, Baby, Cry", "Deep Purple", "Heart and Soul" and her signature song, "My Reverie". 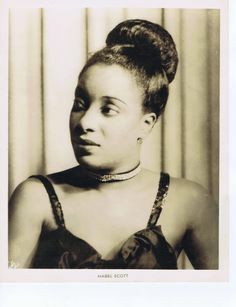 She is considered by many to be one of the best female vocalists of her era, possessing a natural feel for swing-music rhythms not often found among white singers of the day. 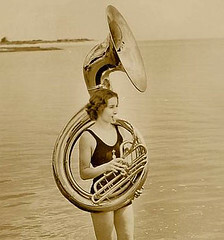 With regard to technique, she excelled in pitch and subtle utilization of dynamics. She also communicated a feminine sensuality and sang with conviction in an unforced manner. 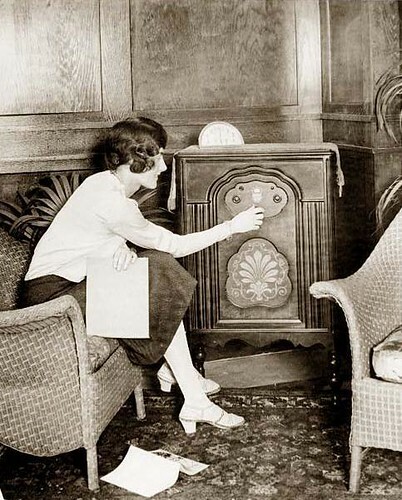 On May 1, 1938, Bea Wain married radio announcer André Baruch. Their honeymoon in Bermuda was cut short when Fred Allen called Baruch asking him to return to New York to substitute for his ailing announcer, Harry von Zell. They were married for 53 years. Baruch died in 1991. The couple had two children: Bonnie and Wayne. Following her musical career, the couple worked as a husband-and-wife disc jockey team in New York on WMCA, where they were billed as "Mr. and Mrs. Music". In 1973, the couple moved to Palm Beach, Florida, where for nine years they had a top-rated daily four-hour talk show on WPBR before relocating to Beverly Hills. During the early 1980s, the pair hosted a syndicated version of Your Hit Parade, reconstructing the list of hits of selected weeks in the 1940s and playing the original recordings on-air. In a 2004 interview with Christopher Popa, Wain reflected: "Actually, I've had a wonderful life, a wonderful career. And I'm still singing, and I'm still singing pretty good. This past December, I did a series of shows in Palm Springs, California, and the review said, "Bea Wain is still a giant." It's something called Musical Chairs. I did six shows in six different venues, and I was a smash. And I really got a kick out of it." In James A. Michener's 1971 novel The Drifters, characters discuss Bea Wain and her recording of "My Reverie" in two separate chapters of the book. In 2002, her recording of "My Reverie" was used in the Robin Williams movie One Hour Photo. I Dreamt I Dwelt in Marble Halls. Gary's importance in the history of Black rural music cannot be overestimated. Self-taught from the age of six, he lost his sight during his late 1920s. All during the great Economic Depression of the 1930s, he worked as a street singer in North Carolina, playing spirituals, rags, marches and square dance tunes. In 1933, he was ordained as a Baptist minister and continued to tour as a gospel preacher, while also recording several spiritual and Blues songs for the ARC label in the mid-1930s. In 1940, after moving to New York, he achieved fame on the folk circuit. Davis's playing greatly inspired other Folk artists such as Stefan Grossman, Bob Dylan, Taj Mahal, Ry Cooder and Donovan. In 1964, Davis visited the UK returning as a soloist on several other occasions. He appeared at various music festivals, including a 1968 appearance at Newport. Davis was the subject of two TV documentaries (1967 and 1970). Lawrence Duhé (30 April 1887 - 1960) was an early jazz clarinetist and bandleader. He was a member of Sugar Johnnie's New Orleans Creole Orchestra. Duhé was born in La Place, Louisiana. He played with Kid Ory there in his youth, and followed Ory to New Orleans, Louisiana. He played with Ory, King Oliver, Frankie Duson, and led his own band in Storyville. Duhé moved to Chicago, Illinois in 1917. His band was popular in Chicago clubs and dance halls, and played in the stands at the notorious 1919 World Series. In the mid 1920s he returned to New Orleans and for a time played with Armand J. Piron. After touring with the Rabbit Foot Minstrel Show he worked out of Lafayette and New Iberia in South-West Louisiana with such musicians as Evan Thomas and Bunk Johnson before retiring from music in the 1940s. Duhé died in Lafayette, Louisiana. b. No.Little Rock, AR, USA. Hayes Pillars (April 30, 1906, North Little Rock, Arkansas - August 11, 1992, Richmond Heights, Missouri) was an American jazz tenor saxophonist and bandleader. Pillars played locally in Little Rock and Jackson, Tennessee before joining the territory band of Alphonso Trent in 1927-28. Following this he co-led the Jeter-Pillars Orchestra, an ensemble which featured a large number of noted jazz sidemen over the course of its existence. Following his time in Jeter-Pillars, Pillars became a mainstay of the St. Louis, Missouri jazz scene, working there from the 1950s into the 1980s. Mabel Scott, born (30 April 1915 in Richmond, Virginia, USA; died 19 July 2000 in Los Angeles), was an American gospel music and R&B vocalist. 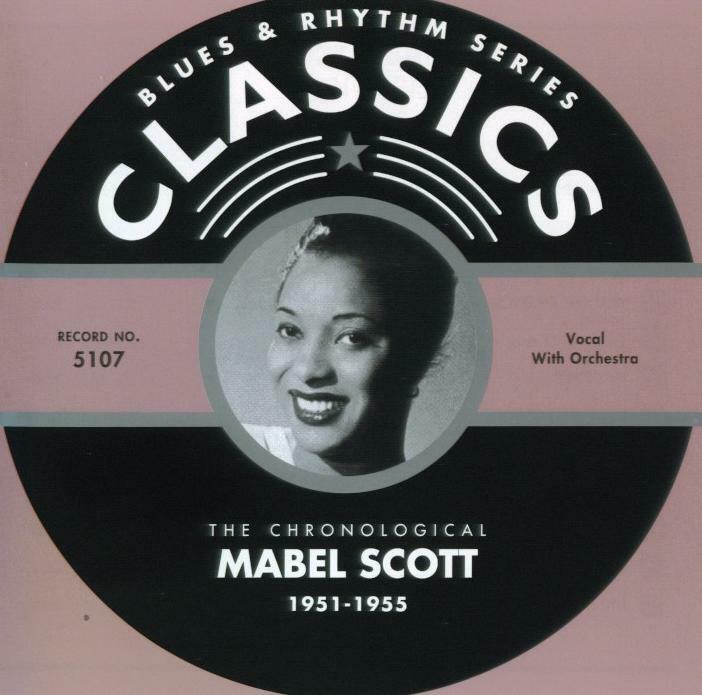 Hailing from Richmond, Virginia, Mabel Scott resided in New York and Cleveland before arriving on the West Coast blues scene in 1942. 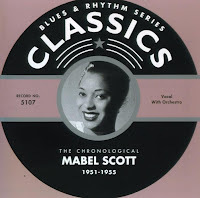 Mabel is probably remembered more for her 1948 hits Elevator Boogie and Boogie Woogie Santa Claus than for her 1949-1951 marriage to the featured piano player of Elevator Boogie, Charles Brown of Johnny Moore's Three Blazers.Scott moved to New York City early in her life and developed her singing voice in church, eventually forming an all-girl gospel group, the Song Cycles. Around 1932 Scott began singing at Harlem's Cotton Club with Cab Calloway's Orchestra and the dancing Nicholas Brothers. Scott moved to Cleveland, Ohio in 1936, then she and pianist Bob Mosley went to England and recorded on the Parlophone Records label. World War II forced her to stop her European tours, and she settled in Los Angeles, where she became part of the postwar West Coast jazz and R&B scene. Following a short spell with Jimmie Lunceford's Orchestra, Scott was a regular performer by 1943 at Club Alabam, along with master of ceremonies Wynonie Harris. She sang with a group led by Lorenzo Flennoy and began recording for the Hub and Excelsior labels. In 1948 she toured and scored Billboard R&B hits with "Boogie Woogie Santa Claus" and "Elevator Boogie." Scott married her pianist, Charles Brown, in 1949, and was divorced from him about three years later. In the early 1950s Scott recorded for King Records, Coral Records, Brunswick Records, and Parrot Records. Her final recordings were on Festival Records as part of an Australian tour backed by Les Welch's band. Disillusioned with the music business and unhappy after her second marriage, Mabel Scott returned to her gospel roots, singing only in church for the rest of her long life. Rhythm and Blues Foundation in 1995. 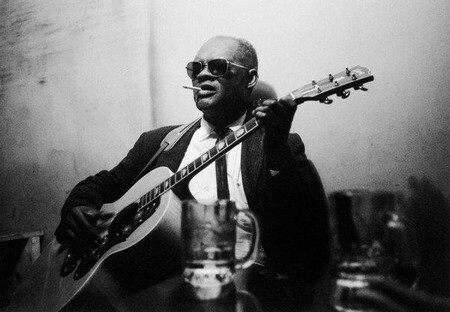 Frankie Lee Sims (April 30, 1917, New Orleans, Louisiana – May 10, 1970, Dallas, Texas) was an American singer-songwriter and electric blues guitarist. He released nine singles during his career, one of which, "Lucy Mae Blues" (1953) was a regional hit. Two compilation albums of his work were released posthumously. 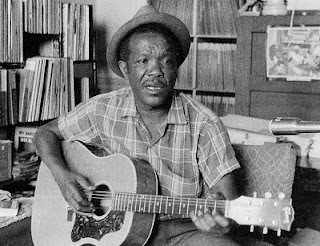 Sims was the cousin of another Texas blues musician, Lightnin' Hopkins, and he worked with several other prominent blues musicians, including T-Bone Walker, King Curtis and Albert Collins. Sims is regarded as one of the important figures in post-war Texas country blues. As a teenager, he played Tuba, Violin and Clarinet, only later turning to the double Bass. 1931 he began professional career in New York city. In 1934, played with Louis Prima. In 1935, he played with 'Adrian Rollini and His Tap Room Gang', and their recording of "Nagasaki" is still a "must hear". Also with Wingy Manone 1935 into early '36. Also in '36, he worked with Charlie Barnet and Artie Shaw. 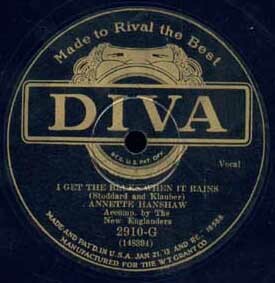 Again with Shaw '37-9, and late 1939 with Joe Marsala. During 1940-'41, he was playing with the Tommy Dorsey band, but there's not doubt that his greatest fame was recording with Benny Goodman's band 1941 - 1945. In late '45, he toured Europe with the Hal McIntyre band, returning to New York and became a Studio musician, working with such Jazzmen as PeeWee Russell (cl), Muggsy Spanier (tr) and Cozy Cole (dr.) In 1945, he worked with both Duke Ellington and Bud Freeman. In 1947 he played with Eddie Condon, Wild Bill Davison, and Joe Bushkin. While with Condon, his bass and Eddie's guitar, were often heard backing famed vocalist Lee Wiley, both of them are seen in the background of this picture. In 1954, he relocated to Los Angeles, CA. and went into semi-retirement. died in his sleep in Westmont, IL, USA. left to right: Sonny Greer, Charlie Irvis, Elmer Snowden, Otto Harwick, seated, Bubber Miley, Duke Ellington.